03.02.2017 Environmental Management Systems can be certified in accordance with ISO 14001 or EMAS. They regulate the planning, execution, control, and optimization of environmental protection within a company. 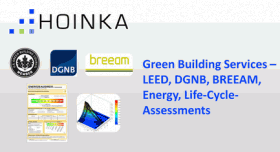 By verifying the certificates of building product manufacturers, LEED v4 and BREEAM system points can be achieved. According to the guidelines, the systems are designed for each company individually and adapted to its needs. 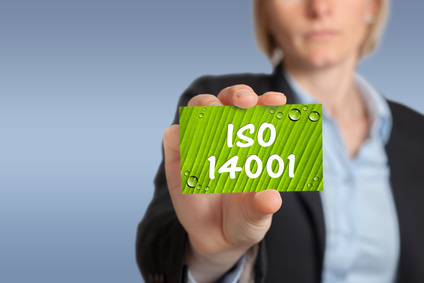 According to ISO 14001, these include planning, execution, control, and optimization (Plan-Do-Check-Act). The Environmental Management Systems of building product manufacturers can positively influence the assessment for building certifications. These are considered in the LEED v4 system under MR Credit 4: “Building Product Disclosure and Optimization – Material Components” in Option 3: “Product manufacturer supply chain optimization”. In the BREEAM system (BREEAM UK 2014 / BREEAM International 2016), EMS certificates can also earn points. Up to three points can be achieved if manufacturers of building materials and their suppliers have integrated Environmental Management Systems into their companies. Alternative “responsible sourcing schemes” such as FSC / PEFC, BES 6001, eco-reinforcement, etc. can also be used to achieve the score. 01.03.2019 From now on we offer our services from greenbuildingproducts.eu via our new platform Building Material Scout. 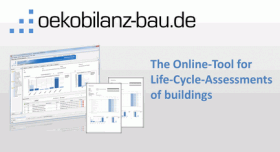 Building Material Scout with its improved features is increasingly used in building projects by builders, architects and construction companies. 1) Please consider that by clicking on the "Share"-Buttons or "Follow me"-Buttons of Facebook, Xing or LinkedIn you might send personal data to Facebook, Xing or LinkedIn.